Throughout various points in Canadian history, the level of education one could attain was directly linked to the type of job they could hope to find. These links were generally made depending on the different economic situations. For example, throughout the period of time leading up to the 1990s, a secondary education was usually sufficient when it came to earning enough credentials to make a good career. The economic situation of the '90s, however, began to change this reality. Suddenly, a high school education was not enough for many employers. Instead, job seekers in an increasingly competitive market had to show some post-secondary learning, as well. The early part of this millennium has turned the tables on this trend somewhat. Employment opportunities have been vast for most of the 2000s throughout the country. A good economy has combined with the retirement of the first of the baby boomers and, as a result, coast to coast there has been an increase in the amount of jobs, and a corresponding decrease in the qualifications needed for these jobs from a formal education perspective. One needs only to look at Alberta to see just how many fulfilling and well paying jobs are available with just a high school education. However, it appears likely that another change in weather is on the horizon. Once again, companies in a retracting economy will be looking for an edge from potential employees, an edge that is best provided by a degree. And of course, most of the fulfilling careers out there have always had educational requirements beyond the secondary level. There have always been a couple of problems with post-secondary education. First of all, it can be costly. Not only do students have to worry about tuition, but also about room and board, meals, transportation, and so on. Secondly, post-secondary education has traditionally required a massive time commitment. Students have had to fit in with a university or college schedule; they must attend classes, lecturers, and seminars at certain times. Failure to make these times will mean that they can't pass the course, a major personal and financial set back. Well, since we are talking new millennium, it is only correct to point out that the 2000s have opened up a whole new concept, in terms of education for the Canadian student. No longer will a person looking to achieve higher education have to worry about attending class at certain times. Instead, the information age has come to the higher levels and now Canadian students have a vast range of degrees, diplomas, and courses open to them to take online. The advantages of an online education are vast. We have touched on some of them above, but there are a lot more. For example, many students working their way through university can arrange their education around their work schedule. This means that even if you have a career and a family, you can take the time to complete a degree without disrupting the rest of your life. 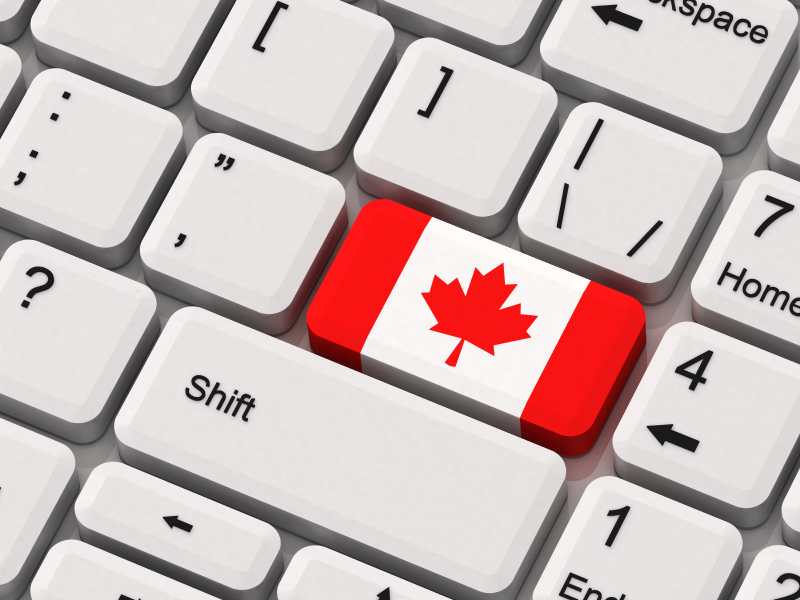 Online education in Canada also means that the advantages of a Canadian education are open to those who do not live in the country. Canadian educational institutes are amongst the finest in the world, a fact that has been recognized time and time again. Thanks to online educational opportunities, foreign students no longer need to leave home and family to take advantage of this opportunity. Instead, they can look into what Canadian institutions have available online. This site is dedicated to expanding on the idea of online education. We will talk in further detail about what this opportunity means for students of all stripes, from those just out of high school to the retired student. We will also take a look at the different online opportunities that are available to potential foreign students; in many cases, language barriers are easily overcome. And guess what? The programs that can help you communicate at an English language school, and to attain the skills to communicate in countries that speak English as well, are also available online. Secondary education is receiving ever more attention these days, for a variety of different reasons. While a solid economy may mean that it is easier than it was a few years ago to obtain a well paying job, there are issues of quality of life and long term sustainability when it comes to many of them. Receiving a degree from a university or college is the way to help secure a future, and you can do this through the opportunities presented by Canadian institutions online.